My wife and I spent last week trying to stay warm while visiting her mother in Wichita Falls, Texas. Being the tough guy that I am, I spent all day Wednesday photographing from Dottie’s garage with the door open, no heat, and facing into that cold north wind. About 2″ of snow fell the night before and the temperature hovered around 20 degrees all day…the wind chill was around 10 degrees. On the brighter side, a good variety of birds were foraging about her neighborhood for any available food. I pitched out some sunflower seeds and bread crumbs and the birds responded. So, here is what you can get after a snow in north Texas (if you can bear the cold). Click on the photo to make it expand and sharpen for better viewing. Click in the upper right portion of the photo to advance to the next shot. 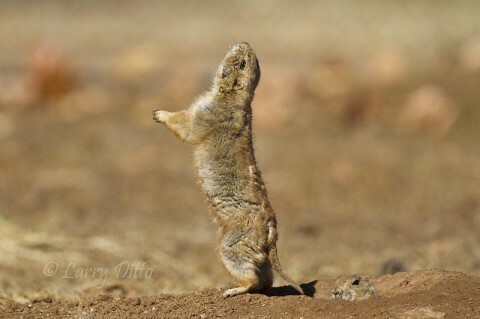 I found these prairie dogs (one is peaking out of the burrow) the day before the snow as they enjoyed the sunshine on a blustery, 30 degree day. The “dogs” must have sensed that the following day would bring a blanket of snow, so they were quite active. Blue Jay with pecan on a snow-covered tree limb. 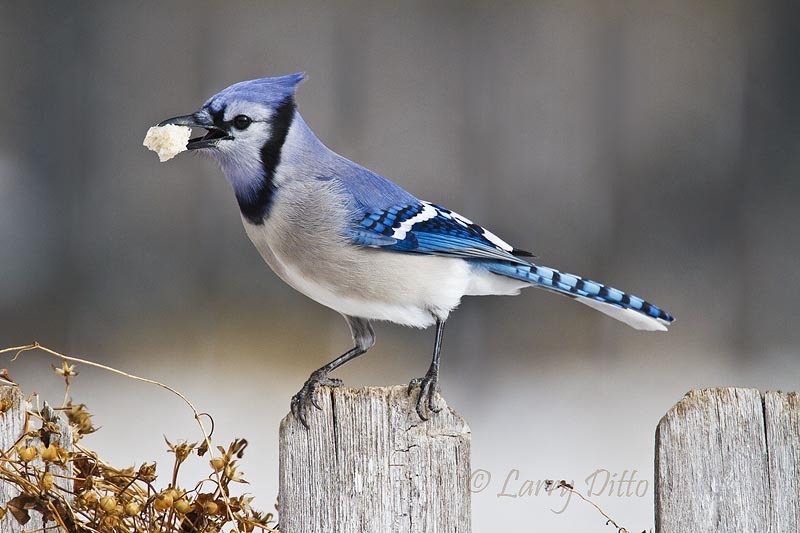 This blue jay photo was my very first shot of the morning. When I checked the camera’s screen, I knew it would be a good day. Dark-eyed Junco with snow in the background. 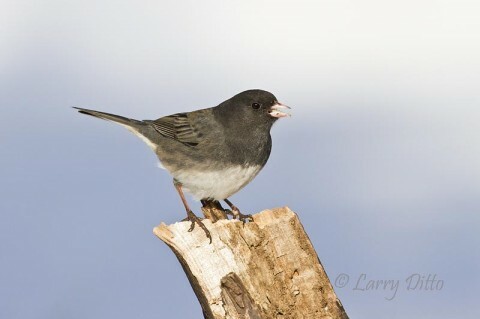 Another dark-eyed junco searching for seeds. 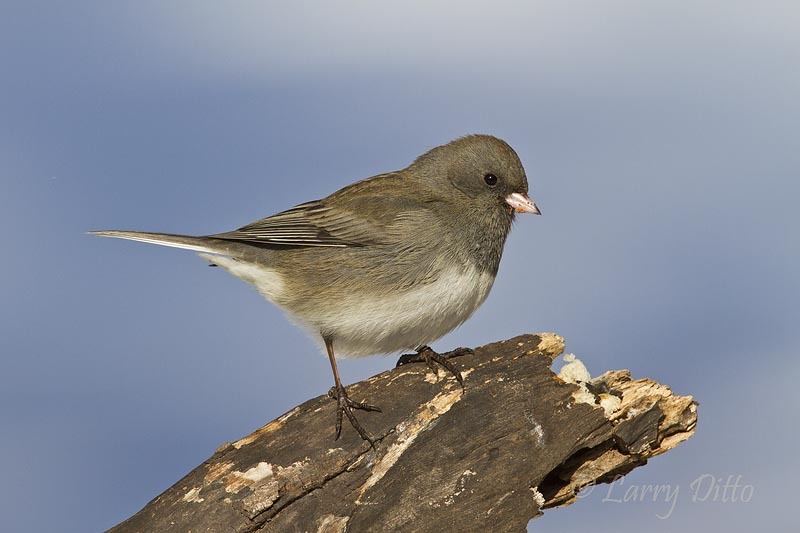 Dark-eyed Juncos seemed to be the most common birds visiting Wichita Falls during the cold spell. These birds spend their summers in Canada and the northern U.S. and come our way when winter weather drives them south. 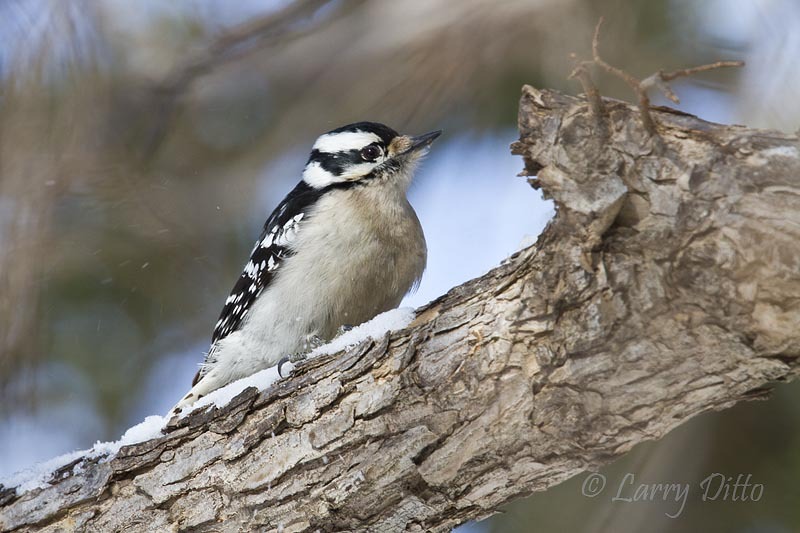 Downy Woodpecker on a snow-covered cedar elm branch. The rough bark on a cedar elm just outside the garage door must have been prime habitat for many forms of invertebrates because several species of birds, including this Downy Woodpecker and a Red-breasted Nuthatch, spent hours feeding in it. One of the few times this red-breasted nuthatch wasn't walking the underside of limbs searching for food. This white-crowned sparrow kept his feathers puffed out to hold in the body heat...much like wearing a down jacket. Last week, north Texas was like a frozen tundra. 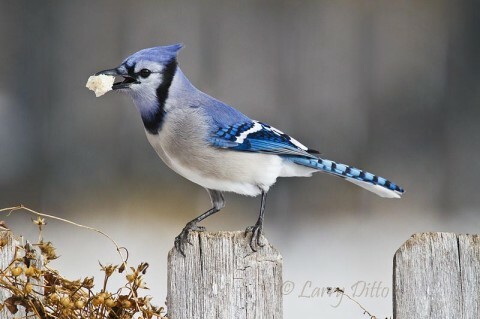 Thousands of birds were working the woodlots and backyards looking for food and shelter. 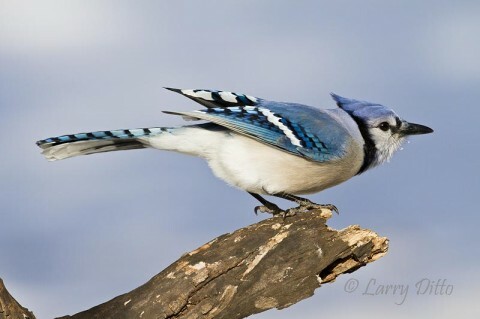 Blue Jay launching into flight after checking this perch for seeds. 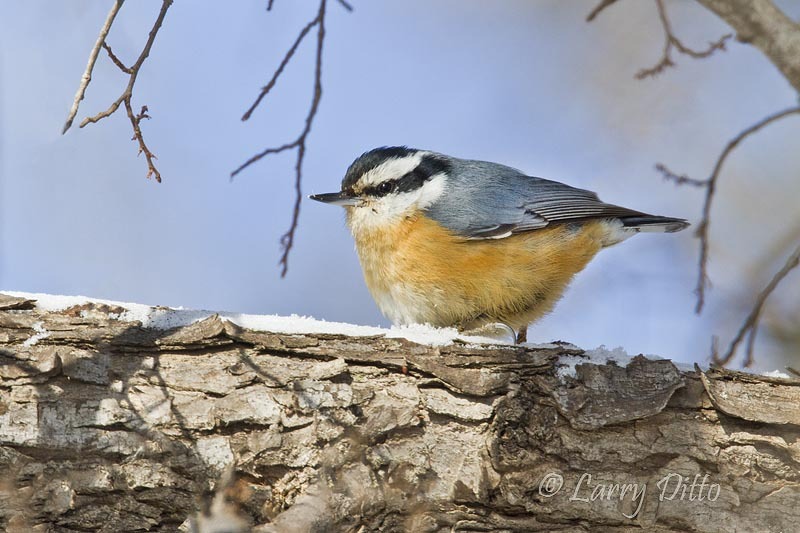 The snow made a perfect backdrop for bird photography. The blue areas in the background are tree shadows falling on the snow. 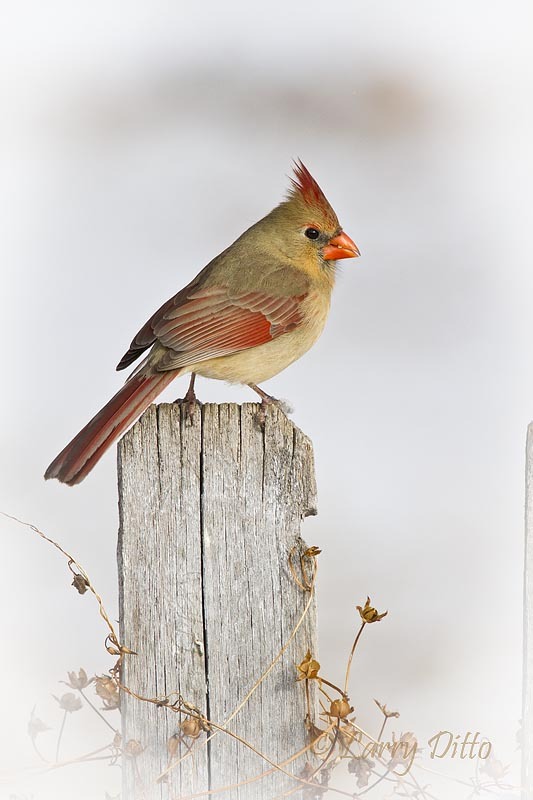 Several Northern Cardinals spent the day scratching for seeds and perching on a nearby fence. Birds frequently perched on this fence which had some dried vines hanging on it. It was a perfect set and I didn’t have to do a thing to improve it. 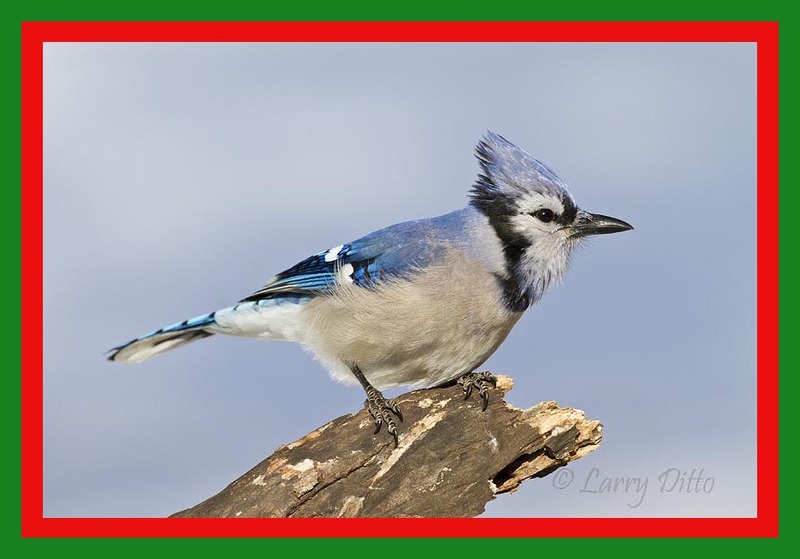 Finding nice perches to do impromptu bird photography in a tidy urban setting isn’t easy, so I was lucky . 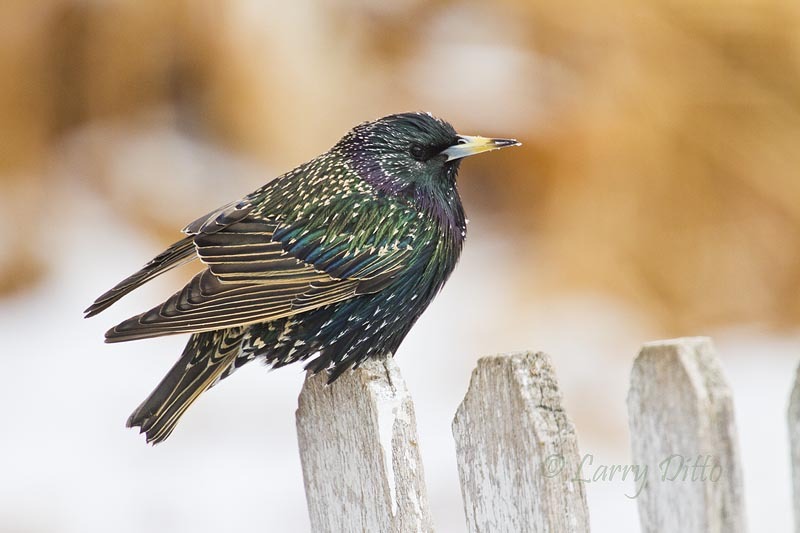 European Starlings may be pests but they are beautifully marked. 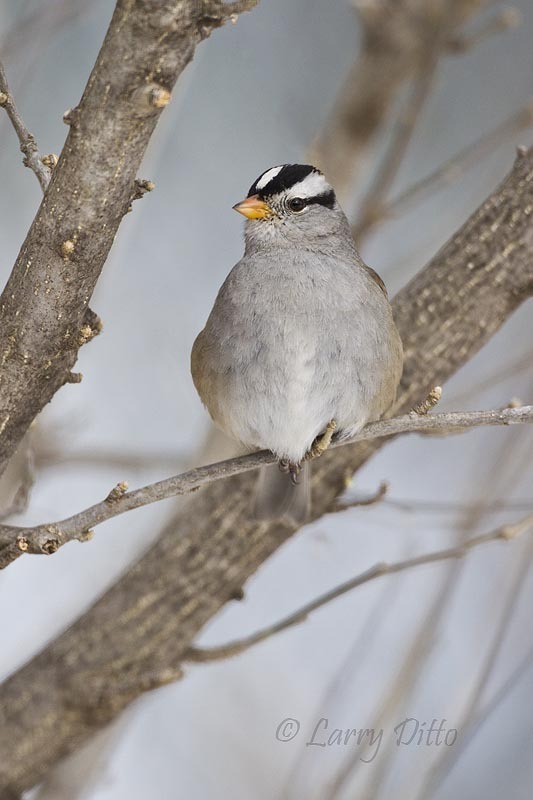 How to get hungry birds to perch up? ...scatter some bread crumbs. 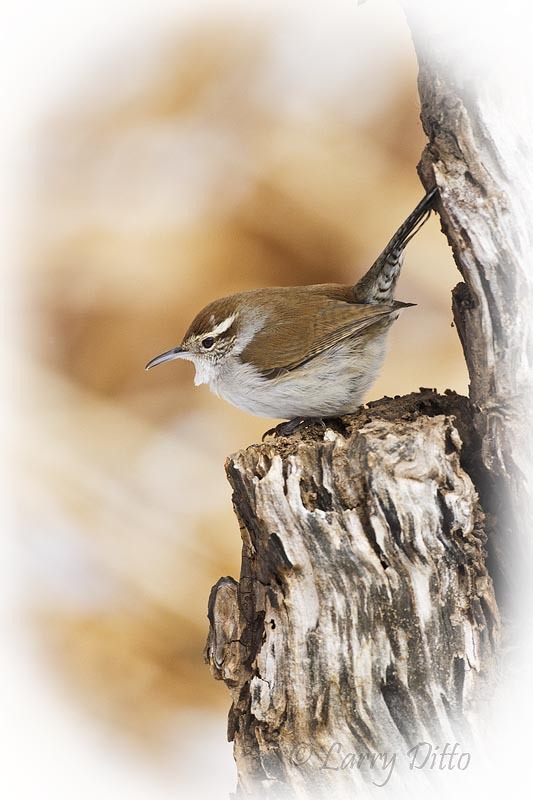 Carolina Wren searching for food on my perch stump. Three years ago, my father-in-law dragged this old stump to the back yard fence and left it. Lucky for me, he never got around to putting it in the alley for removal, so it had weathered nicely and made an excellent feeding station and bird perch. 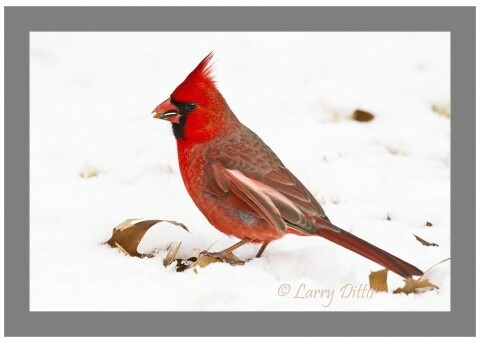 Fallen oak leaves and a thin snow cover make a great composition with this foraging male Northern Cardinal. 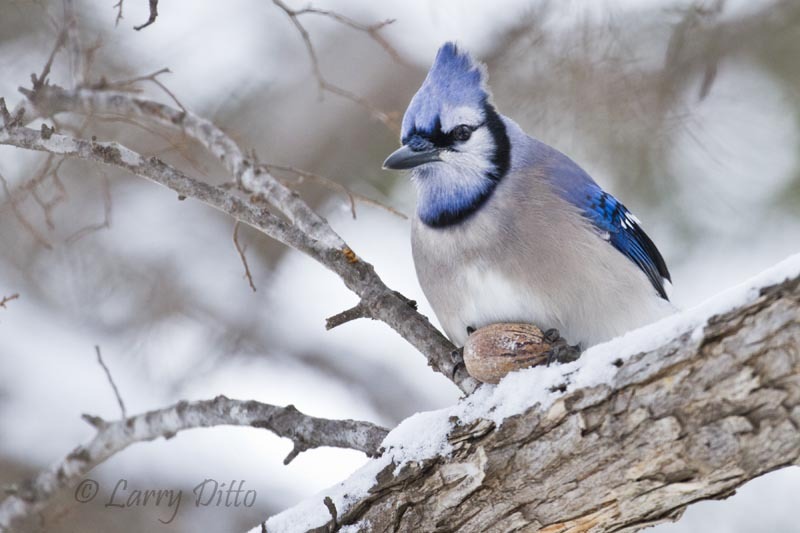 These photos were taken with the Canon 7D camera and 500 mm IS lens. A 1.4 X teleconverter was inserted for the small birds, but the prime lens was all I needed for the cardinals, starlings and blue jays. Most of the shots were taken at ISO 400 or 500, usually at 1/1600 second or better, and +2/3 of an f stop to compensate for the white background. *** It is time to plan your next photo tour for this spring, so take a minute to a look at the tour schedule on this web site. The Hoak Ranch Workshop near Ozona still has some openings as do the Caddo Lake and South Padre Island photo tours. Each is in a scenic location where you can get some beautiful photographs while learning new tricks to improve your nature photography (scenic and wildlife) and Photoshoping. It was too cold and distrubing to the birds for me to add some greenery around this perch for color. Stay warm down in the Valley.